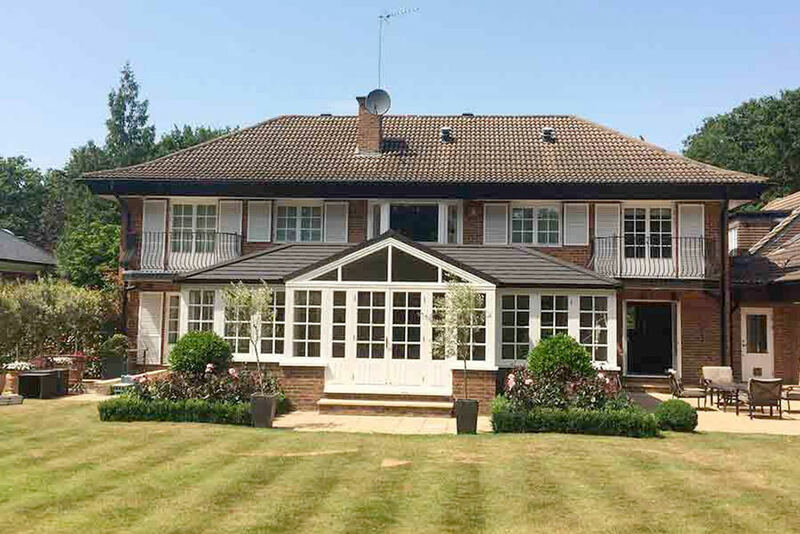 We’ve fitted a huge number of windows in Harpenden over the years, and we always keep an eye open for them when we drive through. Of course we’re prejudiced, but we think they look pretty stylish and – best of all – they don’t age. Windows we fitted a few years look clean, bright and good as new. It just goes to prove our point that you only need to install uPVC windows once! When you are proud of your product, and you know that your prices are good, it’s a pleasure to quote to customers. Having double glazing windows installed is a major investment for householders, but – without a doubt – uPVC windows offer the very best quality at surprisingly affordable prices. We care about giving our customers in Harpenden the best value for money, and our windows range delivers that, without a doubt. Choosing uPVC windows means opting for a low maintenance installation. Once your windows are fitted you can literally forget about them and they’ll still look good year-on-year. Unlike wood which requires treatment against rot, and regular repainting, uPVC only requires a wipe with a damp cloth to keep them looking fresh and bright. Looking to Enhance Your Home’s Security? Over 2018 there were a number of burglaries reported in Harpenden. The thieves were after jewellery and the crimes appeared to be connected. Householders always look to securing their homes when events like this are reported, and high quality windows can make a difference. Our uPVC windows carry the ‘Secured by Design’ tag which is a police affiliated initiative offering assurance that products provide an extra layer of domestic security. Our Harpenden clients are keen to install sustainable products that keep energy requirements – and energy bills – low. Our windows range ticks both these boxes. uPVC is a natural insulator, and our double glazing utilises low-e glass which reflects heat back into your home. All our uPVC windows achieve an A+ rating which means heat stays in your house, and noise stays outside. P&M Windows is a family business that serves the local area, and believes in consistently high quality customer service. We’ve built our business on word-of-mouth, and we listen carefully to the feedback that we get from our customers. We’ll always deal with you directly, and we’re happy to call round to provide a free, no obligation quote. If you’re thinking of fitting new windows, call P&M Windows to find out about the comprehensive local service that we’re able to offer you.